A pessary can be placed temporarily or permanently, and must be fitted by a physician. This pessary is designed for third degree prolapse as well as cystocele and rectocele. 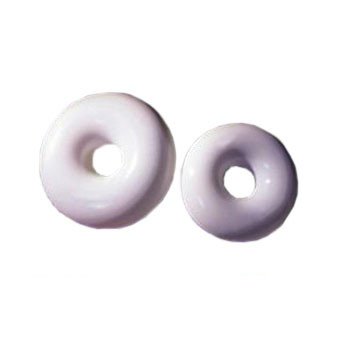 The soft donut pessary can be compressed for insertion and is available in seven sizes. Sizes: seven options 2" to 3-1/2".